In the recent year, the price of the laptops and tablets are increased drastically, there are still numerous gadgets which are available at a reasonable price with a powerful config. These days you don’t need to spend hundreds of dollars to buy the best tablet because nowadays budget tablets are also a powerful one. If you are planning to buy the best tablet under $200 budget segment, then there are a few tablets which are value for money. And this much budget is perfect for those who are looking for a tablet for day to day works such as for internet surfing, watching videos, casual gaming, etc. In every few weeks, new tablets are getting launched, which makes us confused to choose the best tablet for our day to day use. Here we suggest you that if you want to buy your favorite tablet at a reasonable price then wait for a few weeks, they get huge price drops because of launches of its upgraded and expensive models in the market. 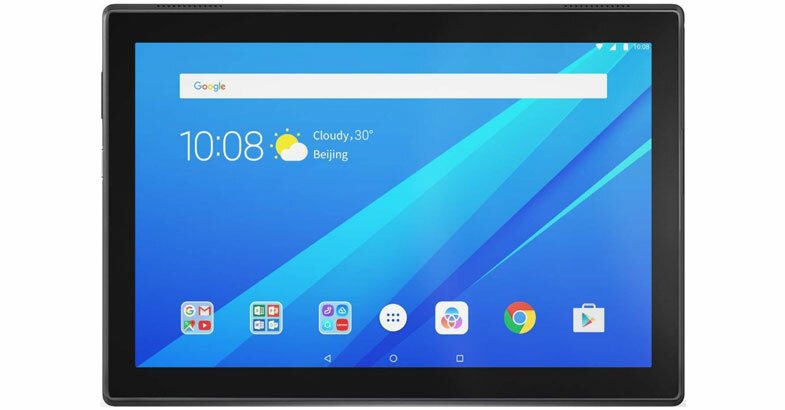 If you are planning to buy this budget tablet for a photo/video editing works or any other works which require a good amount of RAM, then it will take little more time than the high-end tablets which come with more amount of RAM. But if you are looking for the best tablets under $200 for your normal day to day task then this is the perfect option for you. So are you ready to check it out the list of best tablets under $200 budget? If yes, then let’s go. This Lenovo Tab 4 is designed beautifully from outside and powerful from inside. This tab is perfect for the whole family, as it has an interesting feature to transform the Lenovo Tab 4 series into a dedicated kid’s tablets. And also up to 7 users can open the accounts as per the customized storage space within the tablet. It offers a robust performance with 1.4 GHz Quad-core Snapdragon processor and coupled with 2GB of RAM. The powerful processor and RAM can handle almost any of your daily tasks with remarkable ease. This device runs on the latest Android 7.1 Nougat operating system which is out of the box. It has got 16GB of internal storage space which you can upgrade through its microSD card slot to store all your photos, movies, music, etc. You will enjoy its 10.1 inches of solid HD display, which can give you a vibrant feel while you are watching movies or photos. If you are looking for a 2 in 1 tablet then this Lenovo Tab 4 is a perfect option for you. You can use this tablet as a laptop through its Bluetooth keyboard. This keyboard comes with a taskbar and instant app features with switching support for multiple windows and keyboard optimization operations. Moreover, for better sound quality, it has Dolby Atmos speakers which will make your movies and songs pop. If you are concerned about the battery life of this Lenovo Tab 4 then it provides up to 20 hours of long-lasting battery backup. Overall, this is the best tablet for kids or for any age in a $200 budget which you can buy right now. As we all know the Samsung is one of the most popular cell phone brand and now they become popular for their tablet also. This Samsung Galaxy Tab A8 has got a slim and sleek design with a metal frame which is comfortable to hold. It sports 8 inches of display with 1280 x 800 pixels of HD resolution. This 8 inches of a tablet is powered by the 1.4 GHz Snapdragon Quad-core processor paired with 2GB of RAM which is good enough to handle normal multitasking work. 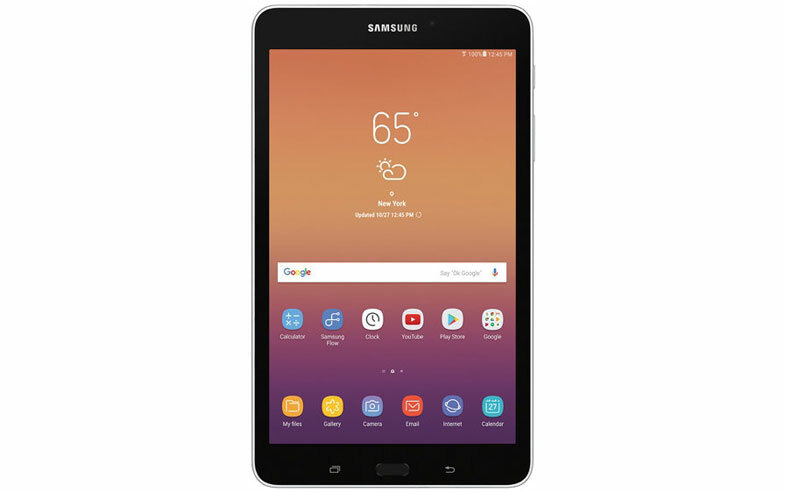 This Samsung tab is run on the latest Android 7.1 Nougat operating system and provides you up to 15 hours of continuous usage on a single charge. For the storage, it has got 32GB of internal storage space which is expandable up to 256GB by adding microSD card. Its 8MP rear camera with flash, capture the perfect shot, even in low light condition and while with a 5MP of a front-facing camera, you can chats with friends and family. Apart from this, with this tablet, you will get 3 Months subscriptions of YouTube red with Google Play music, plus enjoy Samsung’s kid-friendly apps for Free. All in all, if you love the Samsung products then this is the best value for money 8-inch tablet under 200 dollars. This Samsung Galaxy Tab S2 is another tablet from Samsung. 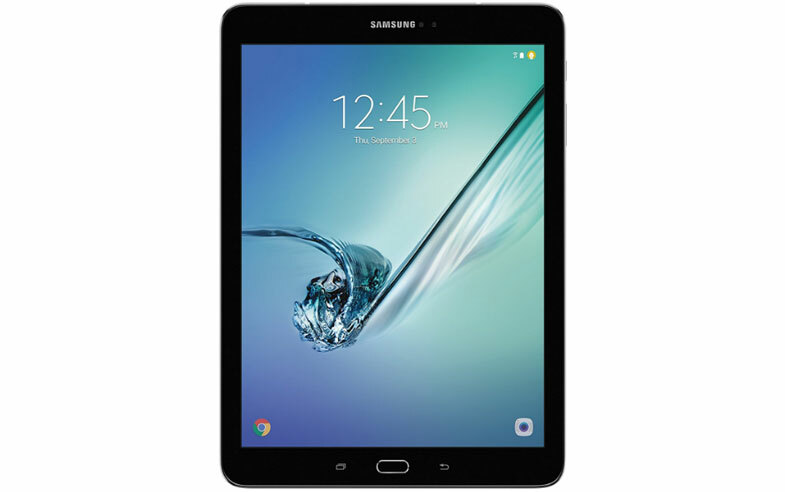 The thing which makes this Samsung Galaxy Tab S2 9.7 an ideal, is its top-notch hardware configuration at $200 of affordable price. If we talk about the configuration of this tablet then it has got a 1.3 GHz Octa-Core processor and coupled with 3GB of RAM, it gives you the speed and performance which you need. It has got 9.7-inch of a SuperAMOLED display with 2048 x 1536 pixels of resolution. This is Samsung’s most advanced display ever which delivers rich and crisp colors details on the vibrant SuperAMOLED display. It runs on Android 6.0 Marshmallow and its Li-Ion 5,870 mAh battery provides you up to 12 hours of good battery backup to watch your favorite movies, internet browsing and play games. On the storage front, it comes with 32GB of internal storage space which is expandable up to 128GB with a microSD card. If you are concerned about the camera of this tab then it has an 8MP rear camera with autofocus and 2MP front camera for video calling with friends, family, and colleagues. With the Samsung Quick Connect app, you can view videos and photos from your Galaxy Tab S2 screen to your Samsung Smart TV. Moreover, it has a Multi Window feature which helps to open two applications at a time side by side to get your work done. This Fire HD 10 is perfect tablet for entire family. As it has got a few features which are good for both the parents and children. In this Fire HD tablet, parents can create a separate profile for their children and set daily limits for tablet use. Another best thing about the tablet is parents can choose which books, apps, games, and videos their children can access. With this Fire tablet, you will get Amazon FreeTime is for free which is the first-ever all-in-one subscription. It includes books, games, educational apps, movies, and TV shows which kids and parents both love. It features 10.1 inches of full HD display with an IPS panel which gives wide viewing angles, less glare, and more brightness. Let’s move towards its specifications, it has inside 1.8 GHz MediaTek Quad-Core processor and thanks for providing 2GB of RAM. This config is powerful enough to deliver quick apps and games launches, with great performance. For the storage segment, it has got massive 64GB of internal storage space which can expand up to 256 GB by using a microSD card. Also, this Fire HD 10 comes with free unlimited cloud storage for all your Amazon content and photos which is taken by your Fire tablet. This device comes with a 2 MP rear-facing camera for taking pictures and shooting at 720p video. The front-facing camera is VGA which good for video calling. The battery life of this tab is decent which provides up to 10 continue hours on a single charge. 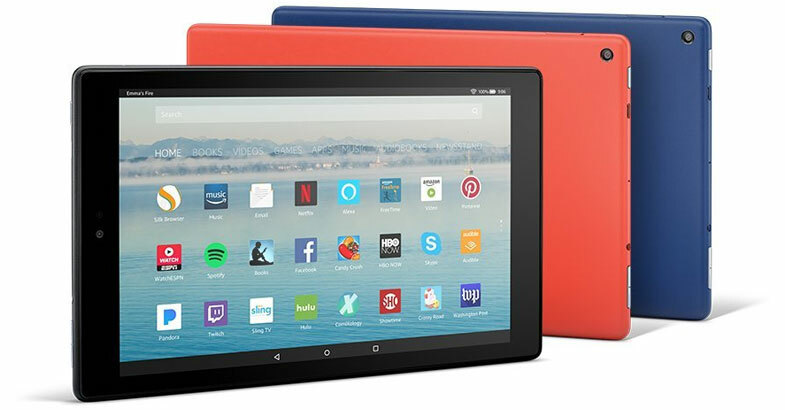 The most interesting feature of this tablet is it comes with Alexa the brain behind Echo, it gives quick access on any information and entertainment which you want, such as video, music, games, audiobooks, and more. Overall, this is the best deal for a tablet under $200 budget segment. This Lenovo Yoga Tab 3 is another tablet from Lenovo. If we look at the design of this tablet then it has got an attractive look with the impressive feature at an affordable price of $200. It has a kickstand on the side which you can use this tablet in four different ways such as Hold, Tilt, Stand, and Hang. It has got an 8-inch of a display with 1280 x 800 pixels of HD resolution which is perfect for casual gaming and intense web browsing. The display of this device comes with IPS technology which delivers incredible brightness for a great viewing experience from all angles. This device is powered by Qualcomm Snapdragon Quad-Core processor which clocked at 1.3 GHz. To handle multitasking it is equipped with 2GB of RAM and 16GB of storage space. This Lenovo tab comes with an 8MP rotatable camera which is a new way to take snap pictures or video calling on Skype. It runs on Android v5.1 Lollipop operating system and got Micro USB, Micro SD Card slot and Audio jack for connectivity. The battery life of this tablet is outstanding which provides you up to 15 hours of battery backup on one charge. For better multimedia experience, it comes with two front-facing speakers which are powered by Dolby Atmos that deliver louder, clearer and dynamic audio-even without headphones! All in all, if you are looking for an attractive tablet at a cheap price under $200 then this is a great option for you. 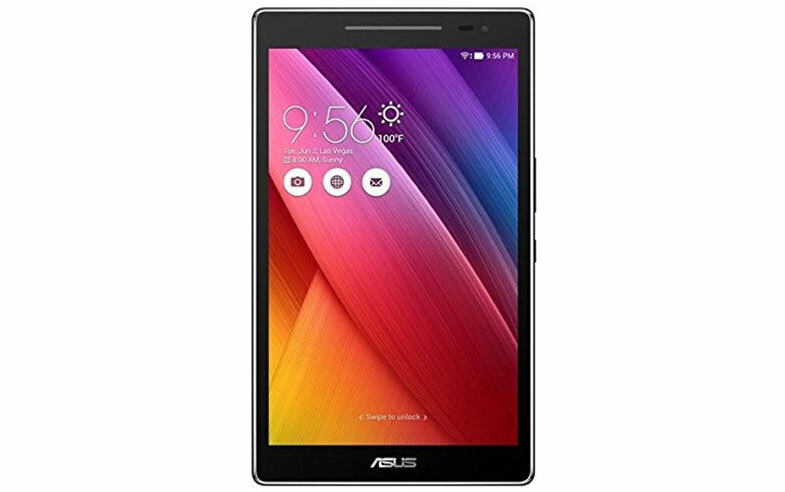 This ASUS ZenPad 8 is Amazon’s Choice tablet which recommends highly rated. If we talk about the design of this tablet then it has got a simple and clean look which gives it to a universal and stylish appeal. The thing which makes this tablet an ideal in this list is its elegant embossed leather patterning and a polished metallic band that gives premium look and feel. The design of this tablet is inspired by the Zen design philosophy which balancing the beauty and strength. It has got 8-inch of HD display with ASUS visual enhancement technology which includes ASUS Tru2Life, TruVivid, Bluelight Filter, Splendid and IPS which delivers an incredibly realistic viewing experience. The performance of this ASUS tablet is handled by 64 bit MediaTek MT8163 Quad-Core processor and paired with 2GB of RAM. It runs on Android 6.0 Marshmallow along with ASUS ZenUI which improves the Android experience to be simpler and smarter. Onboard it has got 16GB of internal storage space which you can expand up to 128GB by adding microSD Card. This ASUS ZenPad comes with an exciting offer which provides 100GB of Google Drive storage space free for 2 years. If you are concerned about the camera of this device, then it comes with a 2MP front-facing camera and 5MP rear camera with PixelMaster technology that combines software and optical design to deliver incredible images. All these powerful specs and features wrapped in 0.3 profiles which weight just 0.8 lb only. Overall, this powerful and lightweight tablet is a great option for you under 200 dollars price range. Above all are the best tablets under $200 budget segment which are added on this list by doing extreme research on it, reading reviews and check ratings. So here we suggest before you choose any of the tablets first check it out all the listed tablets specifications and then choose the one which fulfills all your requirement. We hope that this tablet buying guide under $200 budget will help you out to find the best tablet for you which you are looking for. Still, if you are confused need help feel free to ask through the below comment box.